This year’s New Year’s Eve was memorable. I had fun riding for the second time in decades (first was on my recent birthday ) towards Etihad Stadium, Victoria Harbour, to catch the firework display. Joining the throngs of people counting down to 2013 at Melbourne Docklands where boat owners dock their pleasure crafts, life is as vibrant as the combustibles we anticipated. 10, 9, 8, 7, 6, 5, 4, 3, 2, 1… HAPPY NEW YEAR! The display began and caught me eating my gelato in the background of red, blue, green, white, orange, an explosion of sparkling colours. 1st January 2013. The New year had begun and well wishes continued to be exchanged via SMSes, WhatsaApp, Facebook, chat messengers and all the kinds of social media we have. New Years meant new hopes, new resolutions and new beginnings. Another year of meaningful milestones to be created and achieved. Old slates are wiped clean and new life commences. New Years are supposed to be promising! C and I, we were not particularly close and have not seen each other in years but her death is shockingly rude (she had no history of organ disease or major illness) and violently cruel. You see, C is was my distant sister-in-law. And on New Year’s Day, the angel of death tore her away from her young and promising life, leaving behind 3 sons, 5, 4 and 1 years of age. C’s 32 this year. 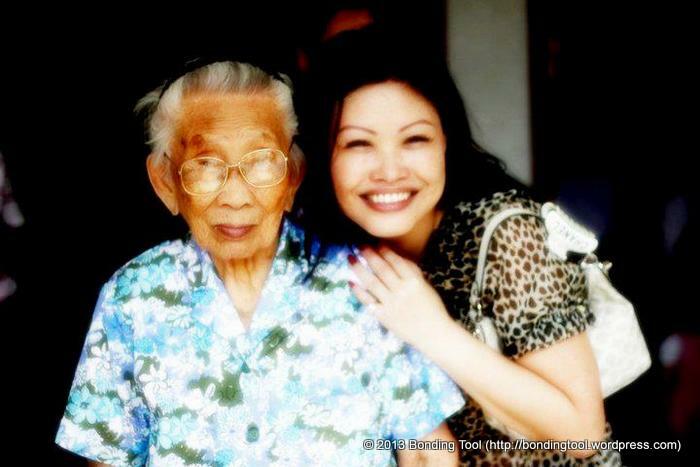 She had so much to live for; her husband runs a very successful retail business in Singapore and she was a full time mother. News of her death affected me much more than that of my sweet dear mother in law (MIL) last September. While I miss my MIL a lot and would have liked to see her live through a century, her death was more or less expected after the alarming visit to the doctors. It was Singapore’s National Day and my husband’s siblings were visiting her. During a conversation, she complained of severe pain in her neck. Upon closer look, they discovered she had a swelling. They brought her to the hospital for a check up that night where the doctor requested some tests to be done on her within the next few days. When the test results came back, my MIL was diagnosed with lymphoma. She died about a month later, heavily drugged with painkillers, in the hospital. Had she lived, she would be 98 years old this January. In a short period of 6 months, I have been confronted by the issues of death twice. Death comes in two forms, expected and unexpected. Death can be anticipated. Death can be sudden. But whether it is anticipated or sudden, there is pain! How does one cope? She’s game to try anything. I’m going to follow her footsteps. With my MIL, it was almost a relief. She lived a ripe old age. 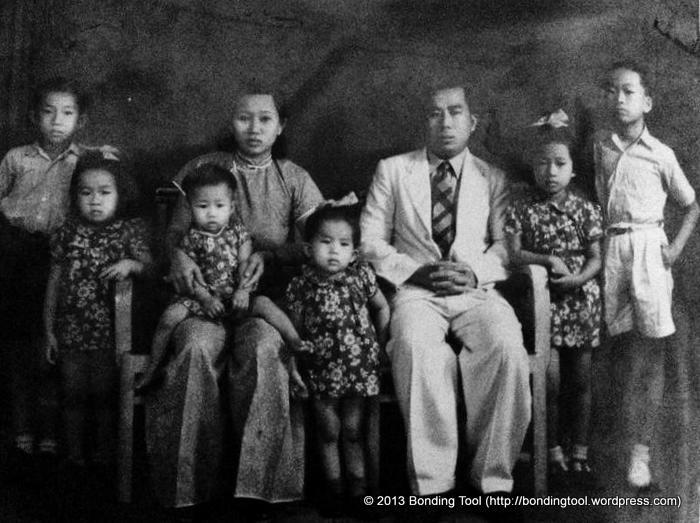 She came to Singapore as a young bride at the age of 19 from Hainan Island, China. She lived through two World Wars. She left behind a legacy of her own right with 4 generations to mourn her dutifully. Her children stayed by her sickbed round the clock. Streams of visitors came in daily to bid their last adieu. Hatchets were buried. Vanessa, who happened to be in Singapore for a week’s holiday, was able to see her grandmother for the last time in the hospital. Everyone in the family, immediate and extended, had a chance to say goodbye. We were prepared to let her go when the doctors declared so. Even then, it was painful. We still wanted her around. She had always been strong and healthy. She never needed a walking stick. She did her own marketing, grocery shopping, laundry and all household chores without any domestic help. She went “bowling” and “skiing” in her 80s. She was almost invincible! And her death, even though we thought she could have lived another 10 years or more before her illness, was expected. It was a matter of days, years, a number, but it was expected whether she was healthy or not. She was old… She has lived through this cycle of 生老病死 (the literal translation for birth and age, sickness and death). There was consolation in her death even. It was comforting at some point for us because we believed or chose to believe that she was no longer suffering. And having received Christ as her Saviour in the later years of her life meant that she was returning home to the Lord; that she would be united with my deceased father in law, who had waited almost 19 years for her, in Heaven. We were able to handle her death better because we had the valuable one month period of anticipation that placed her death in the context of events that were predictable. C’s case, however, is very different. She was beautiful, young and vivacious, a mother of 3 rambunctious boys. She was in her prime. Life was awesome! There was so much to give and in return, so much more to receive. Her unexpected death brought a sudden destruction of the orderly world we used to know. There was no preparation, no time to slowly absorb this reality that our world (especially her parents, siblings, husband and children) was about to change dramatically. Her husband is overwhelmed. M blamed himself. He said he should not have brought her out on New Year’s Eve. What has that outing got to do with her death? She was a healthy person but M is in self reproach. She was taken away from him without any warning and now he has to face with this giant gap between the way their world should be and the way the world is now for him. As for their children, they may not even understand the meaning of death. What is M going to tell them? That mommy has gone for a holiday, a long term vacation without them? His loss doesn’t make sense! He has unfinished business with C. There can never be a positive closure, I suspect. We all have the same task as mourners but M and C’s parents will have to cope with the extra stresses which will be more intense and in some perverse way, because C died on New Year’s Day, this unforseen loss could last a lifetime, renewed every first day of the years to come. C’s wake will be held after the doctors are done with her autopsy. My most sincere and deepest condolences to M and C’s Family. 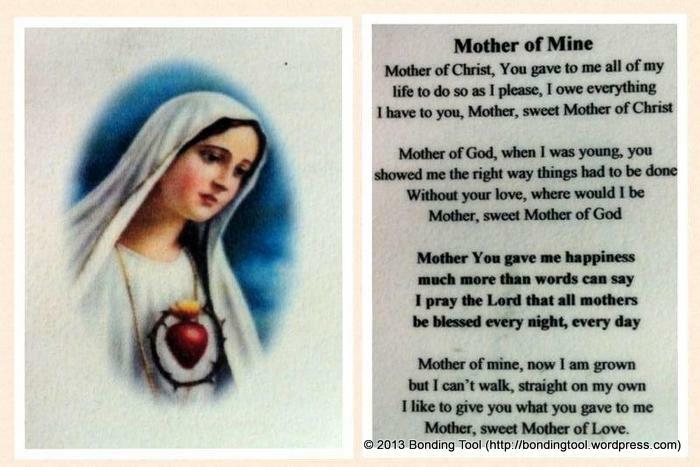 In loving memory of the 2 mothers who return to the Lord. I understand. I remember the dead most when I want to ring/visit them to tell them something. It is hard to accept they can no longer listen.